Based in San Francisco, Potbox is a premier mmj delivery that offers the highest-quality organically grown marijuana strains and ships them right to your doorsteps. Each delivery box has 1/4 oz of two medical marijuana strains which you can choose according to your preferences and medical condition. 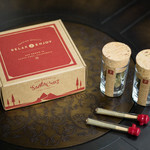 Besides, here at Potbox product selection also includes two prerolls. The joints are filled at the farm only after you place the order so as to guarantee ultimate quality. The company puts customers� well-being as its top priority. Thus, the flowers� quality is closely monitored throughout all phases � from seed selection to packaging. The company utilizes proven quality control technologies which allows it to ensure maximum safety of all the medications it offers.